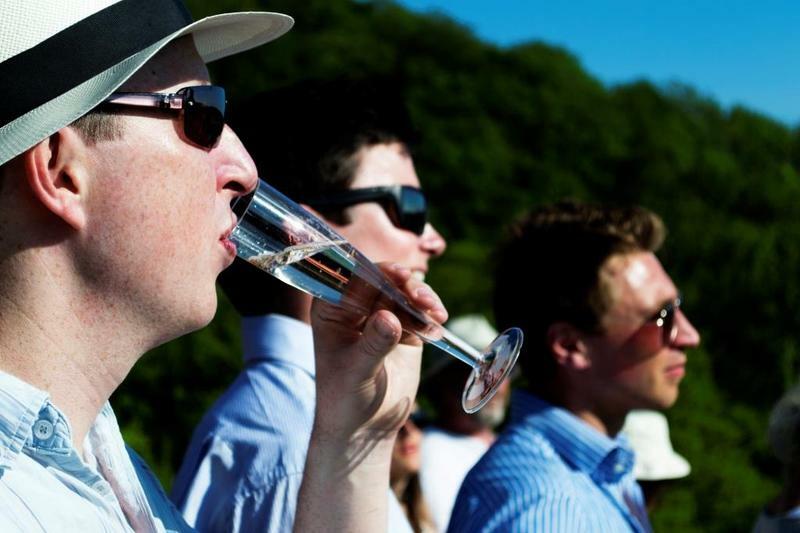 Enjoy an idyllic day with spectacular views of the East Devon countryside and explore the beautiful Castlewood Vineyard. Afterwards, join us at River Cottage HQ for a delicious two-course lunch in Hugh’s famous farmhouse. 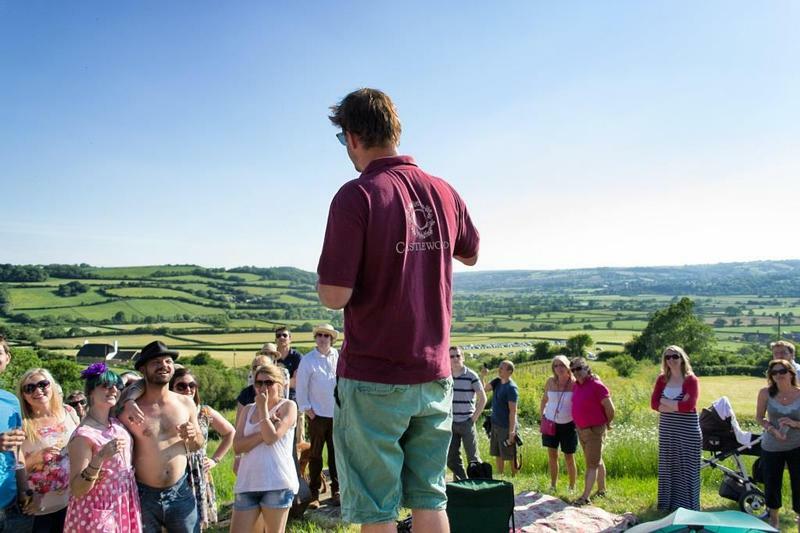 What better way to celebrate the River Cottage ethos than to experience the spectacular countryside in which your food and drink is grown! Castlewood Vineyard is a ‘boutique’ vineyard nestled beneath the ancient hill fort of Musbury Castle. We'll kick off with a short walk to the vineyard, followed by a tour through the vines and then a relaxed tasting session. You’ll meet passionate vintner Rob Corbett who meticulously tends to every vine throughout the growing season. Rob will take you on a tour of the vines and tasting room and explain the differences between the Pinot Noir, Chardonnay and Pinot Meunier grapes that represent three quarters of his vineyard, along with the varietals that represent the rest. Castlewood Vineyard produces exclusive sparkling wines from its small pocket of only a few thousand vines. It would be criminal to let you leave without a few tasters! Then it's back to River Cottage HQ for a two course lunch in the comfort of our seventeenth century farmhouse. If the weather permits, you might even enjoy the lunch in our well-tended kitchen garden. You will be treated to delicious dishes from the River Cottage kitchen while enjoying the familiar surroundings from the River Cottage TV series. Please note, that the walk route is for those who are able to walk at a moderate pace, with varying gradients, uneven pathways, added steps and stiles in places. It'll be worth it - you'll be rewarded with some of the UK’s most spectacular countryside views. The Wine and Dine event is fun, energetic hugely informative and a great balance of learning and relaxing! You will park in the car park where you will be met by the front of house team and board the tractor to the start of your walk. Your walk begins at the Ancient Scheduled Monument of Musbury Castle. We follow a National Trust footpath and part of the 'East Devon Way' with breath-taking views of the Axe Valley. Then through Castlewood's private woodland eventually descending into the vineyard. 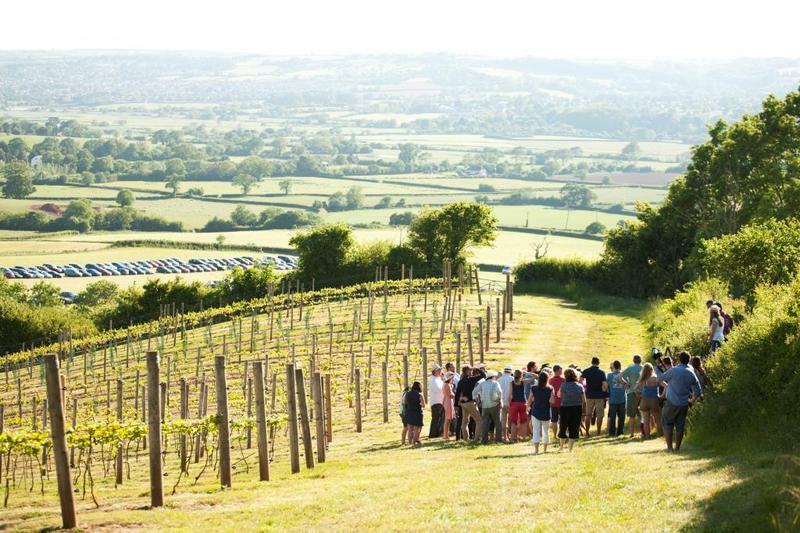 You will walk through the vineyard, learning of the trials and tribulations of establishing a vineyard and growing grapes in East Devon. You will taste all of Castlewood's sparkling wines, weather willing, among the vines from which they are produced. If not, its down to the 150 year old tasting barn within the courtyard of Rob Corbett’s working dairy farm. A minibus will take you back to HQ. On arrival, you’ll head down to the farmhouse. Your host for the afternoon will greet you with a seasonal welcome drink and canapés will be served. Once seated the chef will introduce the menu and talk about the dishes being served. You will learn about the food, our philosophy, its provenance and how it has been prepared. You will tuck into a two course menu made using the very best local and seasonal ingredients. The menu is decided on the day depending on what produce is at its very best. We do of course cater for any dietary requirements and you will be prompted to give us these when booking. It’s back up to your car via our tractor and trailer. The minimum age requirement for this event is 16 years. Under 18s must be accompanied by an adult. We advise you to bring waterproofs / extra layer in case of inclement weather. Should the weather forecast be particularly unfavourable, we reserve the right to cancel the walking element of the booking. If this is the case you will be contacted the day before the event. Additional wine will be available to purchase from Castlewood Vineyard following your tasting. We have a licensed bar serving the finest selection of local and organic wines at River Cottage. No other drinks are included. The minimum age requirement for this event is 16 years. Under 18s must be accompanied by an adult. We advise you to bring waterproofs / extra layer in case of inclement weather. Should the weather forecast be particularly unfavourable, we reserve the right to cancel the walking element of the booking. If this is the case you will be contacted the day before the event. We put these guidelines in place for the safety, comfort and enjoyment of all our guests.